Heartlands Hospital, one of three sites inspected by the CQC. 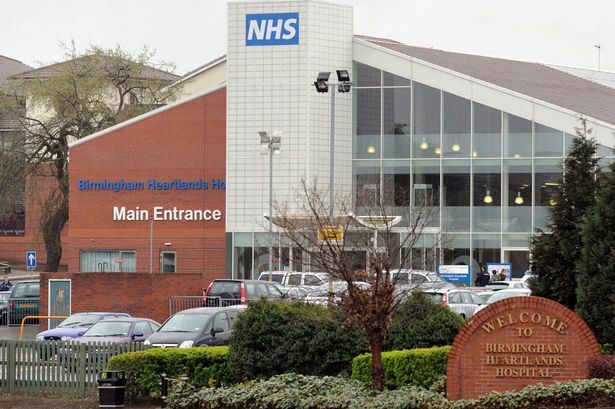 Health inspectors have raised a string of concerns about services at Good Hope, Heartlands and Solihull hospitals. The damning document, published by the Care Quality Commission watchdog, found “significant work” was required to improve standards at the three sites – all run by Heart of England NHS Trust. An unannounced, three-day inspection last December found failures to comply with infection control, overcrowding in A&amp;E departments at both Heartlands and Good Hope and “major issues” with capacity, flow and management of patients. CQC’s Chief Inspector of Hospitals, Prof Sir Mike Richards, said: “Our inspectors found a number of improvements were needed. “While there were some areas of good practice, it was clear that significant work was still needed to improve services so they meet the standards people have a right to expect. “The main areas of concern surrounded overcrowding in the A&E departments at Heartlands and Good Hope. “We were also concerned that learning from incidents was not always communicated to staff across all three hospital sites and we found issues with infection control at Heartlands and Good Hope. “The trust needs to ensure these issues are addressed. The inspection came weeks after the resignation of the Trust’s former chief executive Mark Newbold. He stepped down last November after health watchdog Monitor identified “clear leadership failures”. Current chief executive Andrew Foster told the Mail the Trust was working to address the report’s recommendations. He said: “The past year has been a very challenging one for Heart of England NHS Foundation Trust with multiple concerns over performance, governance, finance, workforce and quality. “In response to the detailed feedback we received immediately after the CQC visit last December, we took a number of immediate actions to address the specific issues it revealed. “We have accepted the CQC report in full and agreed to implement all of its recommendations. “Over the past five months we have worked closely with both of our principal regulators, CQC and Monitor, to develop a detailed improvement plan which will enable us to demonstrate our progress in addressing all of the concerns raised.